EstroClear offers a safe and effective way for women to address the natural changes that occur in their estrogen levels throughout life. 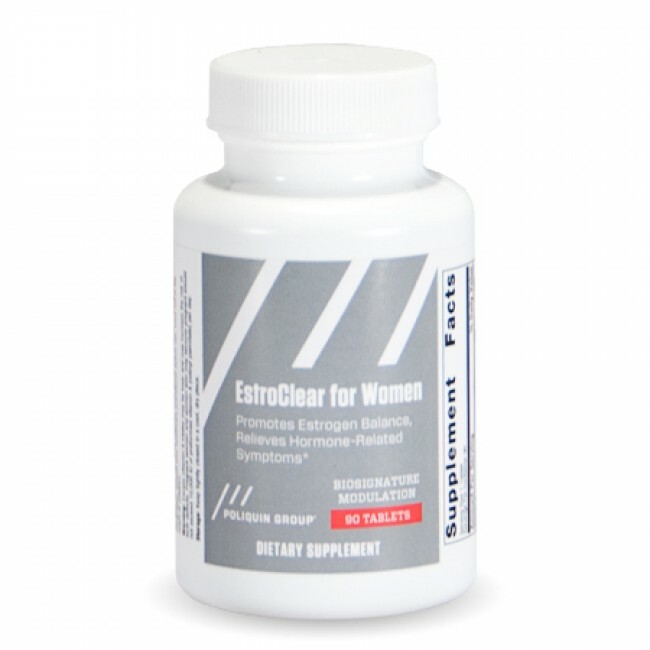 EstroClear features SERMS, which modulate estrogen activity, and other targeted vitamins, herbs, and phytonutrients such as activated folic acid, turmeric, rosemary, and resveratrol. These well-researched ingredients were specially selected for their ability to modulate estrogenic activity and promote optimal estrogen balance. Symptoms that may be improved include PMS symptoms like cramping, irritability, and breast tenderness. EstroClear may also improve menopause symptoms like mood swings and hot flashes. EstroClear promotes the 2-hydroxyestrone pathway, a weaker estrogen that offers protection to estrogen sensitive tissues.